Welcome to Blouberg Manor! Situated on the beautiful beach front of Bloubergstrand in Cape Town and a mere 40 meters from Big Bay's pristine swimming beaches with the best boogie boarding, kite surfing and wind surfing in the world. 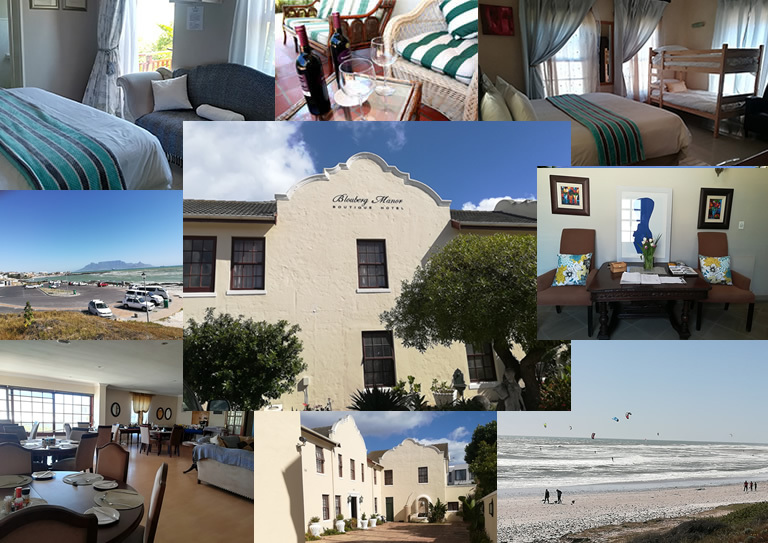 Blouberg Manor offers our guests professional and friendly service, unique and comfortable accommodation, delicious breakasts and stunning views of the ocean, Robben Island and Table Mountain next to the renowned Blue Peter Hotel. We also cater to the needs of corporate clients with specialized conferencing facilities. Save quite area and save ample parking.